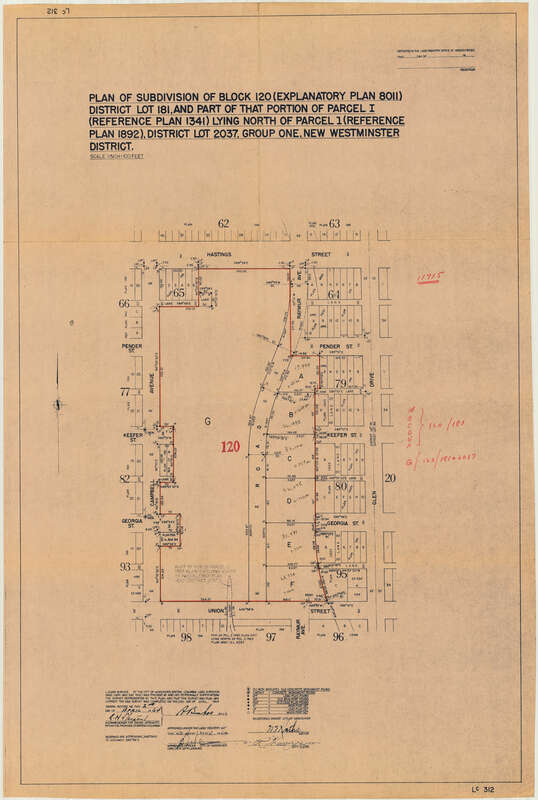 Base map dated May 22, 1964. 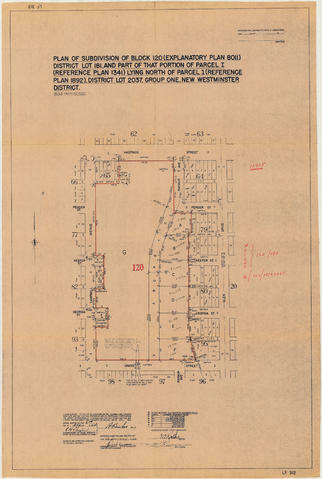 Item is a map annotated to show areas (in square feet and acres) of lots on the east side of the area cleared for development between Campbell Avenue, Raymur Avenue, Hastings Street, and Union Street. Base map is a subdivision plan for the area. Copyright: City of Vancouver; expiry: 2041-01-01.